The practice of yoga makes your body strong and flexible, it also improves the functioning of the respiratory, circulatory, digestive, and hormonal systems. By practice yoga is to realign and rebalance your body. With Yoga, you take control and you can then become your body mechanic instead of having to pay someone else to do it (medical professionals). Because your body is finely tuned you will find that your chances for injuries and illnesses will drop as you are in a much more attuned state. Bali has many places to choose to practicing Yoga. 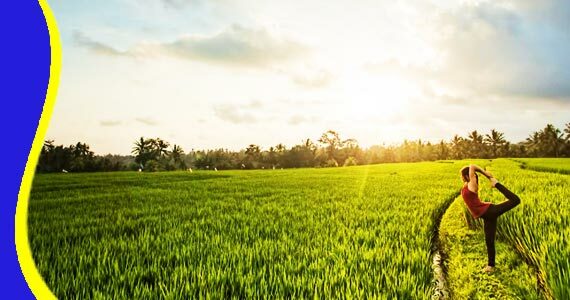 Ubud Area as a part in Bali which is still nature can be your destination to practicing Yoga. Some of the hotel or resort in Bali has Yoga Class that you can be a part of it. 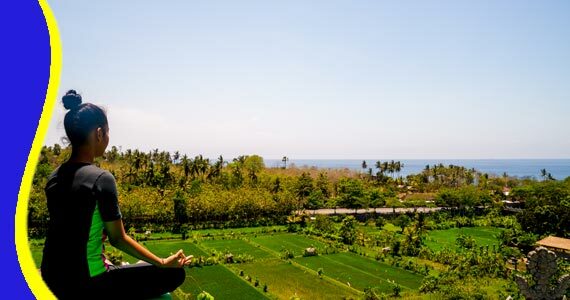 Holiday also doing Yoga during your staying in Bali, is a perfect idea. Because Yoga brings your emotional stability and clarity your mind. The Yoga Class Bali can be practicing by adult and children. 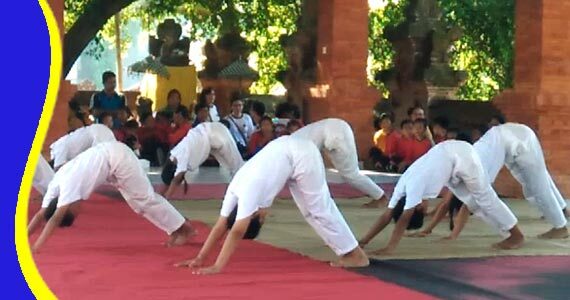 Right now, Bali government has started to educate children to practising yoga in their school. Children derive enormous benefits from yoga. Physically, it enhances their flexibility, strength, coordination, and body awareness. In addition, their concentration and sense of calmness and relaxation improves. Doing yoga, children exercise, play, connect more deeply with the inner self, and develop an intimate relationship with the natural world that surrounds them. Yoga brings that marvelous inner light that all children have to the surface. When yogis developed the Asanas many thousands of years ago, they still lived close to the natural world and used animals and plants for inspiration—the sting of a scorpion, the grace of a swan, the grounded stature of a tree. When children imitate the movements and sounds of nature, they have a chance to get inside another being and imagine taking on its qualities. When they assume the pose of the lion (Simhasana) for example, they experience not only the power and behavior of the lion, but also their own sense of power: when to be aggressive, when to retreat. The physical movements introduce kids to yoga’s true meaning: union, expression, and honor for oneself and one’s part in the delicate web of life. Yoga for children is quite different than yoga for adults.